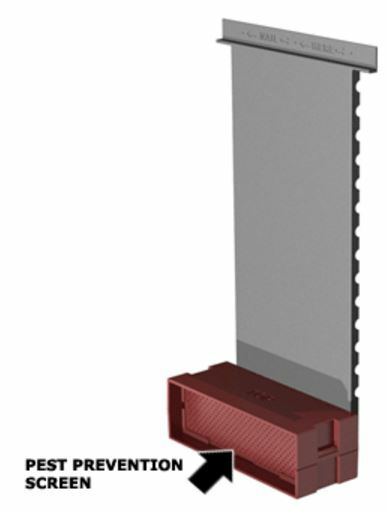 Figure 1: The Pest Prevention Screen prevents rodents or insects from entering the cavity behind the masonry veneer. The Pest Prevention Screen prevents unwanted insects or small rodents from entering the space between the masonry veneer and the underlying face of the structure, without hampering the air flow of the unit. 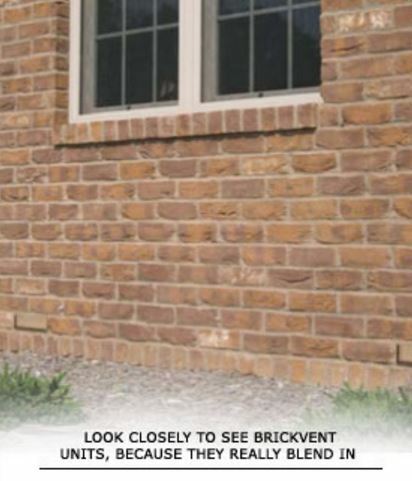 The BrickVent is designed with a trash mortar deflector and an adjustable backplate vent to account for the trash mortar and a gap that can vary from 3/8” to 2” between the masonry curtain and the wood frame structure. So, for new construction the BrickVent will provide superior ventilation and the trash mortar netting is not needed. 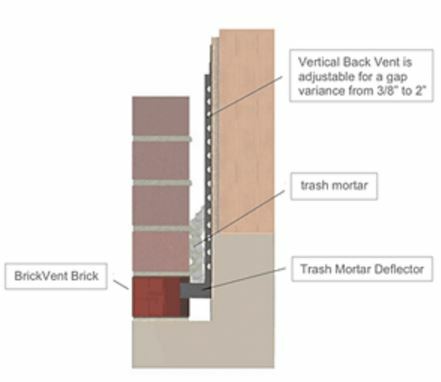 For remediation on an existing structure, the vertical backplate vent is not needed, only the brick portion of the BrickVent.